So you want to download Google Play Store using your PC. Here in this post, I will provide you a way and the trick to download Play Store APK apps on your PC or Laptop easily. Android is one of the most popular mobile Operating System in the world and there are many tricks to tweak your Android phone and enjoy it at its full. The reason for the popularity of this OS is due to the availability of large number of useful games and applications. You can find any apps that you want in your mobile phone. All (most) of the apps for Android running Smart Phones are to be downloaded from Google Play Store. Do you know that some mobile phone operators block the Play Store on their Smart Phone and which means their users will not able to browse those APK apps in their Smart Phone (s). Also, all users can't download the apps using their phone or may be they may want to download via PC. But if you will visit Play Store with your PC and try to download an app than you will notice that the app will be downloaded on your phone (if you're signed in and your email is connected with your Android Phone) and if your email isn't connected than you'll not be able to download app. In this post, I will tell you How to Download any Play Store apps directly on your PC without signing in and that for free. Just follow each steps carefully. First, go to APK Download. The website has a very simple user interface. After visiting the APK download site, you can easily notice that you will need the URL of the Play Store App which you want to download. Now, go to Google Play Store and search for your favorite app which you want to download on your PC. Every Application on the Play Store have a unique Package Name. The package name starts with com. After you searched the app which you want to download. copy the URL of the App or the Package ID only. Note: In the above image com.evozi.deviceid is the unique Package Name. No need to share the URL. 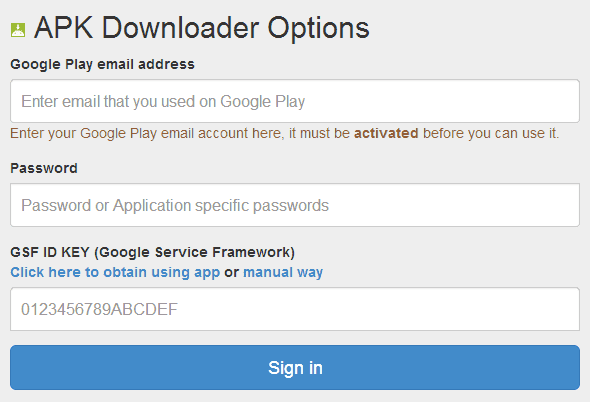 Paste the Application URL (or Package Name) on the APK Download site and click Generate Download Link. Great! Now you can Download that Play Store app on your PC. Just click on the Download button. If you use Google Chrome to browse the web than you can use APK Download extension in your Chrome Browser which will make it very easy to download any Play Store apps directly on your PC. If you decided to use Chrome Extension to Download APK apps from Google Play Store than you will need few thing to configure the app. Just follow the following steps to download and configure this app on your Google Chrome. Go to this link and Download the Extension from Chrome Web Store. After downloading and installing the APK Download Extension on your Chrome, type chrome://extensions/ on the URL bar. This will show you the list of all the extensions installed in your Chrome Browser. Now, click on Options of the APK Downloader Extension. See the image given below to know more. Now you will notice that you'll need to provide Play Store Email, Password and GSF ID key. Fill all the field and click Sign in. Each Android Smart Phone have a unique Device ID and your Smart Phone also have one. You can get the GSF ID or Device ID of your phone very easily. Follow some simply steps to know your Device ID. Open the dialer and type *#*#8255#*#* from the dial pad. Search for the Device ID from the long listed information. 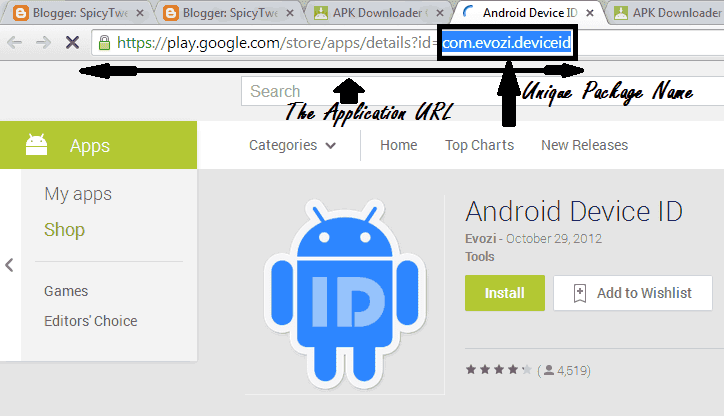 If you're getting trouble obtaining the Device ID using the above process than you can download and install this application on your Android Device. Watch the video tutorial explaining & downloading Play Store Apps directly. That's All! Enjoy downloading of Play Store Apps on your PC. If you need any help than feel free to comment below.